Movie Showtime from 25th April – 2nd May, 2019. Please is it possible to book in advance for endgame. Okoli, no it's not. Thank you. The most anticipated marvel movie ever. I can't wait for April 26th. Daniel, it is not allowed. Thank you. please how much is the ticket? Check back on the Advance Screening day, 25th Thursday. Thank you. Nelson, this movie is yet to be released. Thank you. Raymond, no it's not possible to book in advance. Thank you. Kofi, you cannot book in advance. Thank you. Lagosboy, you will definitely see it in 4DX, at Silverbird cinemas, Galleria & Silverbird cinemas ikeja City Mall, for now. Thank you. Lanre, please what is the deal about seeing it in 4DX? Do you wear 4DX glasses? i really don't like glasses, speaking from experience. Kunle, no glasses. But its a great experience, trust me. Come feel the rumble-jumble, you won't only be watching the movie, you'll be in the movie!! Thank you. Louy, we apologize for the late response. Kindly be informed that there will be an Advance screening for this movie on the 25th of April. However, ticket for this movie will be out then. Thank you. Advance Screening is another name for Sneak preview. That is, seeing the movie before the released date. Thank you. Not showing in Accra Mall on 26th April? It will show at all Silverbird cinemas locations, including Ghana. Thank you. please how much is the ticket ? Jesusoga Emmanuel, yes we will. You can also subscribe to our notification, to get direct info straight to your mobile, from our website. Thank you. When will show in Lome, Togo? Percy, this movie is yet to be released. Thank you. Ray, this movie is yet to be released. Thank you. Pis when r dry showing it at ozone cinema yaba? Richmond, kindly check back on the 25th of this month, for Advance Screening. Thank you. Please find a way to fix or balance your lighting systems to compliment the movies when the scenes of the movie are dark. Because when the all lights go off in the cinema,it becomes quite difficult in watching. I hope you get what i'm saying. Thanks. Please try and do it for Avengers Endgame. Nick, Thanks for the heads up, we'll do something about this. Thank you. Nano, coming soon at Silverbird cinemas, Ghana. Thank you. Eze, thanks for bringing this up, we are already doing something about it. Thank you. Fadilah, kindly be informed this movie is releasing on the 26th of this month, and tickets are yet to be sold. Thank you. Karen, yes it will. It will also show on the 25th of April (Advance Screening). Thank you. I stay in Uyo, are ticket on sales for the Avengers Endgame?? Welldone, kindly be informed that, tickets are not sale for this movie at the moment. Thank you. Alvin, kindly check back on the release date. Thank you. Doni, kindly check back on the release date. Thank you. JP, its another name for Sneak Preview. Meaning you can go see the movie before the release date. Thank you. Sam, kindly check back on the Advance Screening day, which is Thursday, 25th of April. Thank you. Jesse, kindly check back on the Advance Screening day, which is Thursday, 25th of April. Thank you. do you have the 4dx in SEC Abuja? I and is it possible to get the tickets on the morning of the 25th? Rihanat, 4DX not yet at SEC abuja, but coming soon. Yes you can go get the ticket 25th. Thank you. Samuel, it's another name for Sneak Preview. Meaning you can go see the movie before the release date. Thank you. Kofi, yes there is. 9:30pm is in 3D, while 7:00pm-8:00pm are both in 2D. Thanks. Wale, online booking coming soon. Thank you. Can I purchase a ticket for the 25th screenings in advance, that is to say before the 25th? Christopher, yes you get to watch the full movie before its actual released date. For the price, kindly visit https://silverbirdcinemas.com/promos/ (prices & promos), call the box office number of that location. Thank you. Please would it show in Silver bird Uyo on the 26th? Moses, yes it will. Kindly note it will also show at Silverbird cinemas, Uyo this Thursday 25th. Thank you. Kemi, kindly visit https://silverbirdcinemas.com/movie/shazam/ for the showtime of Shazam, for different location. Thank you. Hi , please how much a ticket for Avengers Endgame ? How much is advance screening going to be please? Would it be possible to watch this in imax? Kwabena, 4DX at Silverbird cinenas Galleria & Ikeja City Mall, 3D & 2D at all Silverbird cinemas. Thank you. The time is too late!!!! Please what is a price and how can i get a ticket??? Go to any Silverbird cinemas location you intend to watch it from and make your booking. Thank you. Check back on the 25th, Thursday. Thank you. Pls what time is the movie on Friday, 26th April? Pls what time is the movie showing on Friday, 26th April? Ibraheem, kindly note our Movie Showtime changes every Friday of the week. Kindly check back in the morning of Friday. Thank you. What time is it showing on Friday? Busayo, kindly note our Movie Showtime changes every Friday of the week. Kindly check back in the morning of Friday. Thank you. My spirit soul and body is totally ready. Jerry, check our website on Friday morning for the showtime. Thank you. Daniel, kindly check back tomorrow. Thank you. Richard, kindly check back tomorrow. Thank you. Thanos going down, na we all go gather do the avenging 25th lol, 4DX, no wives, two popcorn, one drink and one water, two pillows, one for bum and one for neck and one duvee. We die here!!! Carl, kindly check our website on Friday morning. Thank you. Kofi, its the actual movie. Thank you. 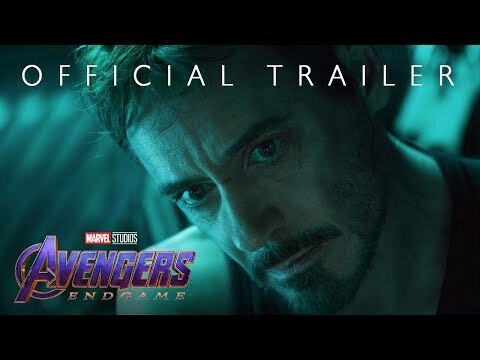 Is the advance preview exactly same movie as the released movie? Please, is there any difference? Apart from the advance preview, when will the movie be released and available fully? How much will the ticket go for in 4DX in Ikeja City Mall? Rotexy, the advance screening (25th) is for you to see the movie before the actual released date, its the same movie, no difference. It will be released fully on Friday 26th. Check back tomorrow for the ticket price. Thank you. Check back tomorrow 25th. Thank you. Gooday my friends & I plan on watching it on the 27th, that is a Saturday. Is it possible we get tickets online when it’s finally released? Or which other way do you advise us to get tickets? Fashakin, for now, you can get your ticket on that day you wish to see the movie, from any of our Silverbird cinemas location. Thank you. Where can I see the film in Lagos and can I see it before 26 of April? Samuraeh, you can go see the movie at any of our Silverbird cinemas location in lagos, at Galleria, Ikeja City Mall, or Festival Mall, Festac. Thank you. When can we start getting tickets for this? Please help am confused.. Does this mean it wont be shown on 26th Friday ? It will show on Friday 26th. Advance Screening (25th) is just for you to go see the movie before the release date, which is 26th. Thank you. Is the avengers end game showing on Friday at Ikeja city mall?? And what time is it showing?? Yes, it is. Check back on Friday morning for the Showtime. Thank you. Vic, kindly check our website on Friday morning. Thank you. How much would the ticket cost? Oluseyi, kindly check back tomorrow. Thank you. i wanted to ask, this is coming out on the 25th but the official release date in the US is the 26th. Rabia, the offial release date is 26th, but you can come see it before the actual release date, Advance Screening or Sneak Preview at Silverbird cinemas on the 25th. Thank you. How much are the tickets in Accra Mall for the Advance Screening? what are the show times for the endgame on 26th in accra mall? Angel, kindly note, our movie showtime is updated every Friday of the week. Kindly check on Friday morning. Thank you.